Top Billing presenters Nico, Lorna and Simba each give us their take on their ultimate festive feast by setting a Christmas table. Woolworths spoils our presenters with a taste of the good life as Nico, Lorna and Simba share what Christmas means to them and deck their tables with their favorite food and flavours. Simba's table is fit for a bachelor keen on celebrating and enjoying only the most delicious and ready to eat items with a drink. Nico's table is a more tradition family orientated one with the quintessential Christmas colours: red, white and green. An array of classic Christmas dishes awaits and you will definitely want to get a good look at these if you're the traditional type like Nico. Next we see how Lorna has prepared a feast with the Midas touch, dripping in gold. Celebrating Christmas in utmost luxury, a delectable cornucopia of gilded gourmet delights deck's Lorna's glamorous table top. 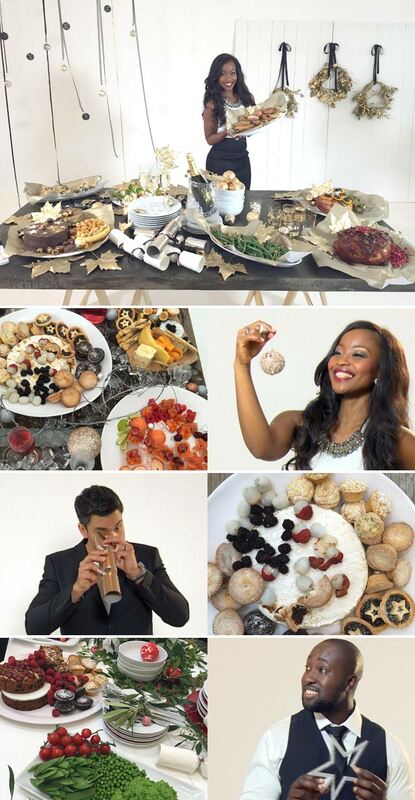 Enjoy a festive feast with the Top Billing family this Thursday 8:30PM on SABC3. The greatest gift is to give a little bit of yourself, and when you take the time to make your own presents this is exactly what you will be doing. Operation Smile SA have performed more than 4,500 free reconstructive procedures on children in need throughout Africa. With its lashings of whipped cream, jewelled jelly, sponge and rich custard, the humble trifle is always a hit during festive season feasts. Take the repetition out of tradition and serve this festive favourite differently this year. Or you can turn leftovers into scene-stealers.